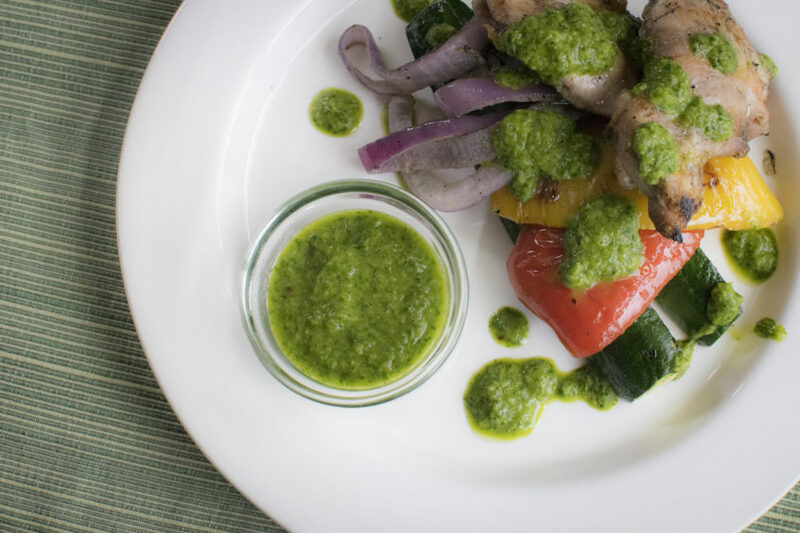 Chimichurri usually has both parsley and cilantro in it, but this one has JUST cilantro because we LOVE cilantro! It’s salty, fresh, and zingy…it’s amazing on any kind of meat, or as a veggie dip. You must try it! Hey Amber.. In India Chimichurri is known as ‘chutney/chutni’ and instead of adding vinegar we just add lime juice and a bit more green chillies (b’cos we like it hot here..) and sometimes for more freshness few mint leaves are also added.. It goes well with grilled chicken or shrimps or with any appetizers..Do try it once. You’ll surely love it.